In today’s article, we shall be tackling about what a dental abscess is, how they form and how they are treated. As dental abscesses can be painful and worrying, we have asked Los Algodones dentists to tell us a bit more about them. So if you suspect you might have one, or somebody is suffering from one, you can get a little bit more knowledge about it here! An abscess is a bacterial infection where the body encloses the area to avoid it from spreading further. In the case of a dental abscess, it usually appears at the root of the tooth, though it is perfectly possible for them to appear between the gums and teeth as well. Although the body forms a socket keeping the infection in, that does not mean it is safe from there. Leaving a dental abscess untreated and without draining will still inflict pain as well as swell the area for the person. If the dental abscess is not taken care of then it leads towards a tooth infection. Tooth infections seldom can be salvaged so an extraction of the whole pulp is needed in these cases. What makes an abscess appear? For an abscess to make its appearance, bacteria need to find a place where to grow and multiply. As such, abscesses do not just happen in dentistry but can happen all over the body as well. This is one of the reasons why conditions such as dry mouth pose an issue. Since dry mouth affect the saliva production in our mouth, then it is far easier for bacteria to wreck havoc. As you know saliva has many beneficial properties, not only keeping our mouth wet, but also breaking down food, rinsing bacteria away and keeping them from growing. Without saliva, the chances of gum disease, tooth decay, bad breath and other conditions to appear are much higher. What types of dental abscesses are there? Back there we mentioned that a dental abscess can appear in two different places. So through that is that this division is made. Also through it is that different actions are taken against dental abscesses. 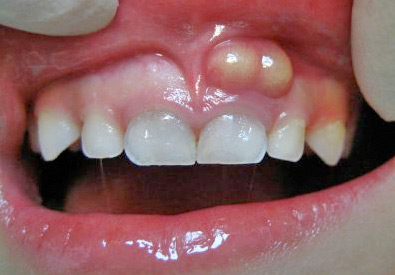 This one is also called periodontal abscess. It’s when it appears between the tooth and gum. These infections come to be through food that gets stuck in-between the gum and teeth. Which is also called periapical abscess. These are when it’s at the soft inside of the tooth, the pulp. Since it affects the root of the tooth, it is likely that the teeth is dead or close to. Tooth abscesses can spread to the surrounding bone if not taken care of. If you suffer from many of these symptoms then it is very likely you have an abscess in your mouth. Although to be completely sure you should visit your dentist. Face and/or gums are swollen and inflamed. There’s pain in the affected area which can be worse when lying down. The affected tooth displays a dark c olor. Bad breath and/or a bitter taste in the mouth. The area and its surroundings are thoroughly cleaned, this avoid it from spreading and keeps it tidy for working on. Then the dentists proceed to have all the pus is extracted, as it contains the bacteria that can infect other tissue. And lastly, the infection is treated, depending on the case antibiotics might be necessary. After the procedure, pain medication may be issued for any irritation or discomfort that the person. No Replies to "Dental Abscess: What You Need To Know"